Every business needs a web host, but the question is, which one? The problem is, there are too many choices. TMDHosting is one of the many web hosting services that can quickly get your business online, but it manages to separate itself from its competitor’s thanks to its well-rounded plans in a multitude of categories. TMDHosting’s shared, cloud, and dedicated hosting plans are all very attractive packages, but it’s the company’s truly excellent WordPress offering that elevates it above all its peers. As a result, TMDHosting is our new top pick for WordPress web hosts, despite its limited phone support hours and scant Windows server options. TMDHosting offers three tiers of competitively priced shared web hosting: Starter, Business, and Enterprise. Each plan includes a free domain name, as well as unlimited storage, monthly data transfers, subdomains, and email—they’re very attractive offerings. Of course, there are subtle differences between the three packages’ specs. Starter (starting at $8.95 per month) has a single-core CPU and 1GB of RAM, which makes it a plan aimed at sites with less demanding needs. It also lets you host a single website, and offers more than 200 website-enhancing apps and scripts. Unfortunately, Starter disallows add-on domains. 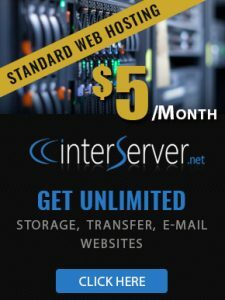 Business (starting at $9.95 per month) builds on Starter’s base by offering a two-core CPU, 1.5GB of RAM, and unlimited hosted sites and add-on domains. Enterprise (starting at $16.95 per month) tops Business by giving you a three-core CPU and 3GB of RAM. TMDHosting’s shared web hosting plans are excellent, directly competing with HostGator’s Editors’ Choice award-winning packages that contain unlimited storage, monthly data transfers, and email. TMDHosting’s shared servers go for slightly cheaper prices, too. Still, HostGator continues to hold the shared web hosting crown, thanks in part to its custom, toll-free number for your business.